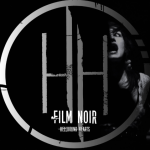 Share the post "Album review: HELLBOUND HEARTS – Film Noir"
Hellbound Hearts are a three-piece hailing from Yorkshire and consist of Danny Lambert (lead vocals/guitar), Craig McLaren (bass/vocals) and Lee Brook (drums/vocals). They have produced a number of EPs and singles previously before releasing, this their debut album which is produced by Matt Ellis at Axis Studios (Black Spiders/Terrorvision). One thing I love about this album is it rocks and rocks hard. Shades of the Wildhearts on ‘Wake Up’, and they have a real riff monster on ‘We Are All Alone’. Bit like Feeder in their 90′s era jamming with Terrorvision. The guitar riffs are immense and could knock down brick walls… Speaking of which ‘Broken Hearts’ should be released as a single, another song chock full of riffs, melody and a hook filled chorus. ‘Suffering The Radio’ has been released as the lead off track from the album and after a quiet start it cranks up the volume. Again you are reminded of the Wildhearts or the equally excellent Eureka Machines, mainly in the way the heavy guitar riffs meld so well with a catchy chorus. Oh and listen out for a bass line before the guitar solo that will rumble your fillings. This entry was posted in ALBUM REVIEWS, ALBUM REVIEWS (Mobile), All Posts and tagged album, Feeder, film noir, hard rock, Hellbound Hearts, review, rock, the Wildhearts. Bookmark the permalink.